Break into a favorite fat quarter bundle, we're about to make a Splash! 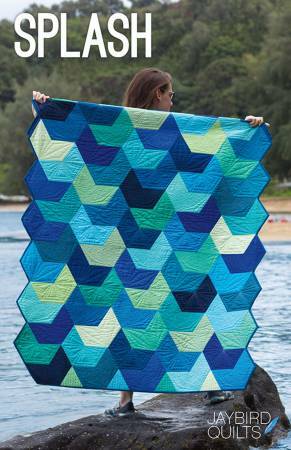 Combine solids, blenders or small-scale prints in a mix of light, bright and deep hues to create this fun, fresh quilt. This quilt flows together easily with no Y seams! Baby 40in x 44in, lap 49in x 68in, twin 67in x 92in, Queen 95in x 96in, King 104in x 104in.